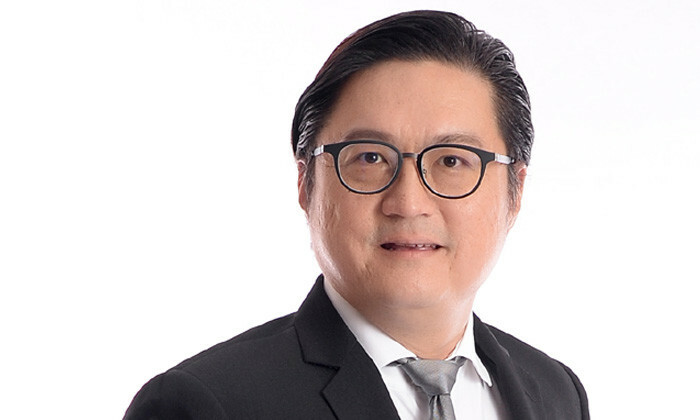 Richard Lau, senior VP and head of integrated recruitment administration / group marketing and corporate communications at Certis CISCO Security, shows how to make a “dull and monotonous” sector exciting for talent. As an established name in Singapore’s security industry with over 50 years of history, one of the key challenges Certis CISCO faces is trying to attract and retain young talent (aged 18-35) for a sector which is made up of a matured workforce and is perceived to be dull and monotonous. Digital media has picked up in the recent years, and ever since we started our social media platforms, we made a concerted effort to bring our employer branding – growth, excitement and stability – out in the social media space. Despite the challenges, I am pleased that we have devised and innovated digital media strategies that resonate with our target audience – young people from 18 – 35 years old. Knowing that this group of potential candidates are typically digitally savvy, our team decided that going digital would be the best way to reach out to them. Hence, we decided to embark on a digital media initiative with the objective of improving the public image and perceptions of auxiliary police officers, recruiting and retaining talent and at the same time, to promote our Certis CISCO employer brand. With two key messages in mind – “Auxiliary Police Officers enjoy a rewarding career with Certis CISCO – with good career exposure, career path and work-life balance”, and “Join us, and embark on an exciting and meaningful career with Certis CISCO as an Auxiliary Police Officer” – we employed a three-pronged approach to engage our more than 30,000 employees worldwide. Our team developed three campaigns, namely the Inspire Me campaign (to improve the public perception of industry), Certis World of Opportunities campaign (to drive recruitment), and Winning Hearts and Minds campaign (to boost our retention rates and enhance our employer branding). Knowing that the group of potential candidates aged 18-35 are typically digitally savvy, our team decided that going digital would be the best way to reach out to them. Our team at Certis CISCO took various elements into consideration before implementing these strategies. Some of these considerations included expanding reach of our efforts; managing negative comments, and shortening response time to fans’ comments; and keeping the content engaging and up to date on social media. Though the process was tough, we are glad that our efforts paid off when our various online pages, contents, and posts saw a spike in impressions and engagements. For instance, the posts in Certis CISCO’s Facebook page saw a total engagement of 15% in 2014, meaning that an estimated 49,200 users would have clicked on it or shared a story about it. Besides that, we also noted active participation in our social media activities, including users commenting and sharing posts with their Facebook friends. One of our most notable contests was a fun “Guess The World Cup Winner” Contest, in which the company gave out $500 worth of Sportslink Vouchers to five winners who could successfully predict the World Cup Winner. For this competition, we received an overwhelming response of 552 comments, 11 shares, and a 17.81% engagement rate among the public. The posts in Certis CISCO’s Facebook page saw a total engagement of 15% in 2014, meaning that an estimated 49,200 users would have clicked on it or shared a story about it. Apart from the spike in engagement levels, we were honoured that our initiative stood out to the judges, in helping us win at the Asia Recruitment Awards for the best use of digital media (in-house) category. Over the years, our social media platforms have grown from zero to become one that engages more than 10,000 of our staff, their family members and members of the public. We also have an excellent in-house marketing team that is able to think out of the box and come up with fabulous content consistently throughout the year. With these, we hope to hire aspiring talent and retain dedicated employees who have contributed to the success of the company. The Singapore Bank Officer’s Association will now allow everyone employed in the banking and financial services (BFS) industry to ..
Grace Clapham was chosen by Sir Richard Branson and Apple co-founder Steve Wozniak as the global winner of "inspirational leadersh..